AMESBURY’S community minibus will be used to ferry tourists from the town centre to Stonehenge as part of a move to improve the connection between the town and the world heritage site. 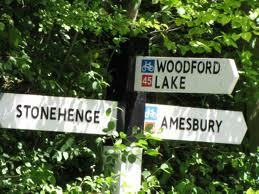 As the Journal reported last week, Amesbury Town Council has called for public transport links to be restored after the town was rebranded as Historic Amesbury and signs were put up welcoming people to the home of Stonehenge. 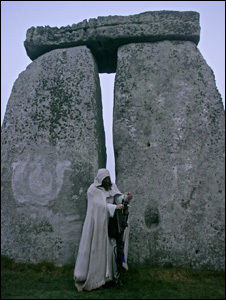 Visitors have been arriving in Amesbury expecting to see the ancient stone circle to be told the only way to reach it is to walk or go by taxi as the Wilts & Dorset operated Stonehenge Bus Tour does not stop at Amesbury bus station. Now mayor of Amesbury Andy Rhind-Tutt has put forward plans for the community bus to be used to take people to Stonehenge. He hopes to trial the scheme on Wednesdays, which is market day in Amesbury. “It would be great for both tourists and local people,” he said. “People could come and park in Amesbury and then the bus will take them up Countess Road, to Woodhenge, along Fargo Road, through Larkhill and on to Stonehenge. “They could spend a couple of hours there and then get the bus back to Amesbury for lunch or some shopping. “It will also provide a service for the people of Countess Road and Larkhill who lost out when Wilts and Dorset changed its bus routes. Initially it is hoped the service will be free while the new bus route is publicised. It will travel a circular route and run on an hourly basis, and Mr Rhind-Tutt hopes to get it up and running before the Easter holidays. “We hope that it will increase footfall in Amesbury which will boost local businesses,” he said.